Yes, walking photography not wedding photography. 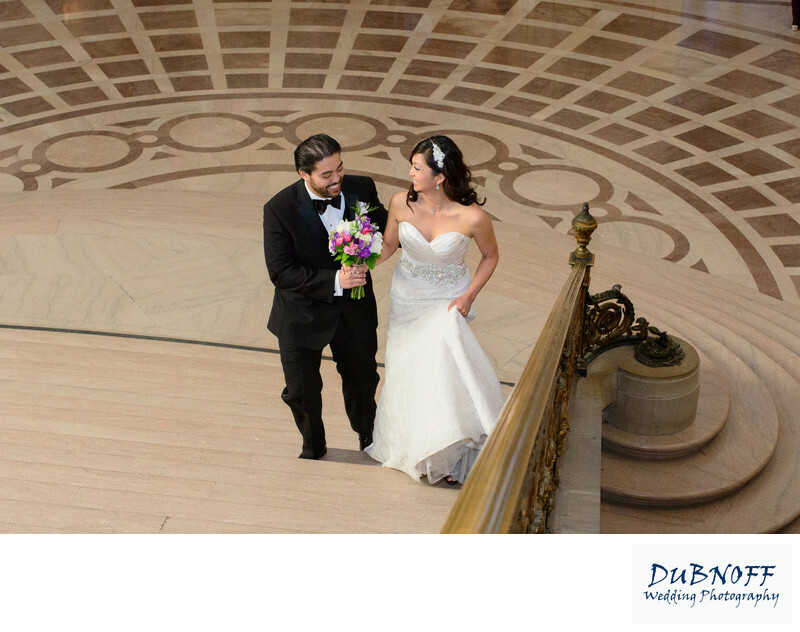 We like to get our brides and grooms into situations as much as possible where they are doing natural things like walking up stairs, etc. Posing is fine, but this adds more reality to the shoot and also keeps the couple relaxed. In the photo above, the bride had just handed the groom her bouquet which made him laugh. A great photo opporunity!